Kinłani (aka Flagstaff) has a high number of Indigenous Peoples who live here at the base of our sacred mountain without a continuous place for shelter. 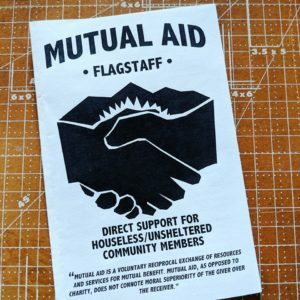 Capitalists and politicians with the City of Flagstaff continue to make life for our relatives on the street hard, by passing laws such as the notorious “Anti-Camping Ordinance” which earned the city the 10th spot of The National Coalition for the Homeless’s report on “meanest” cities in the so-called “U.S.” to be unsheltered in 2006, or invoking the violence of the state. Flagstaff police have been accused of extreme racial profiling and arrests targeting the Indigenous population, though local right-wing media scapegoat the matter as an “Indian problem,” we are familiar with the direct experience that our relatives face everyday on these streets. 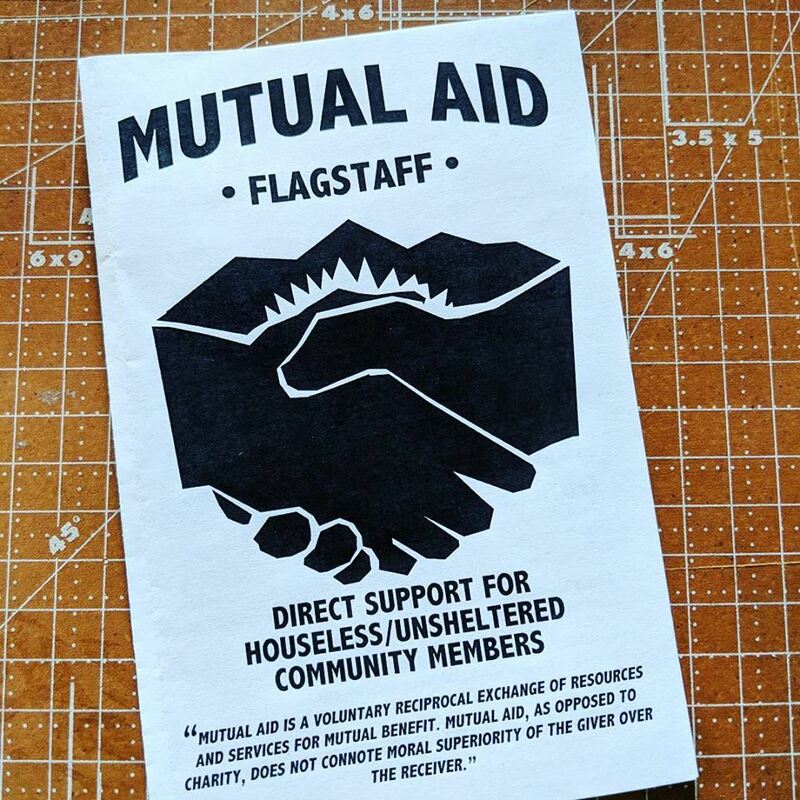 We distribute warm weather gear, connect folx with necessary resources, host meals, give rides, search for people in the cold, and much more… we are acutely aware of providing solidarity not charity. We seek to treat our relatives with dignity and respect, prevent deaths from exposure, provide resources for recovery, and organize. Feed the People also operates every Sunday starting at 10am, they need food donations and volunteers too. 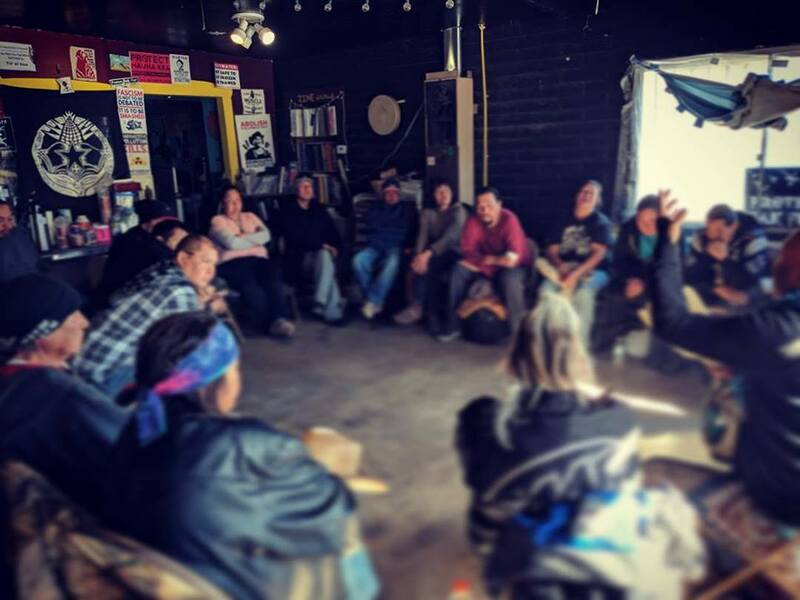 You can also donate here or purchase items from www.indigenousaction.org, all proceeds from shirts etc support Táala Hooghan Infoshop and radical organizing.